This is not finding beauty in the dust; this is offering a new language to understand what is beautiful. Sheffield-based artist Jo Peel spends her time documenting in great detail a fascination with everyday scenes and scenarios. From abandoned east London construction sites to the streets of Tokyo and Pittsburgh, all are captured in her well observed and uniquely executed style – suggesting that such city scapes are as important to the topographic psyche as the natural beauty of the nature that surrounds it. 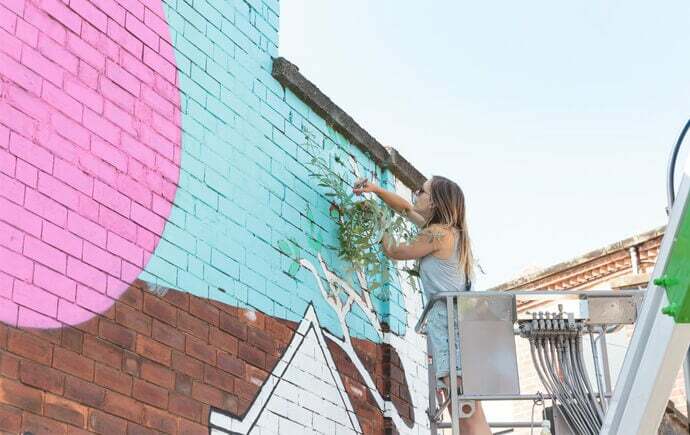 This exploration of the urban metamorphosis is executed in a variety of mediums, ranging from huge public murals and hand-painted animations to canvas and fine-art editions. 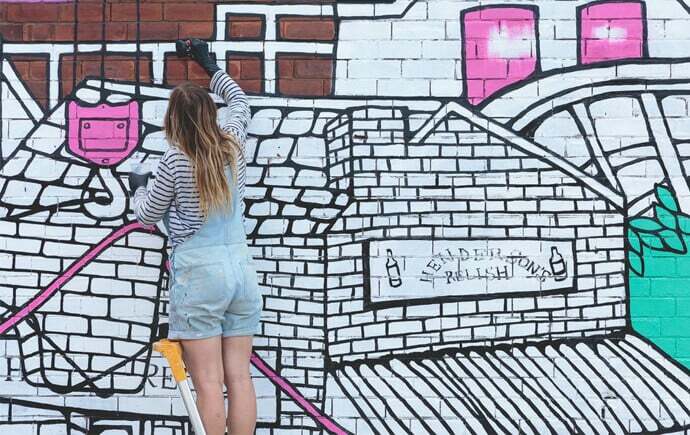 For Yorkshire Day 2018, Jo was commissioned by Sheffield-based internet provider Plusnet to cover a wall 14 metres long and seven metres tall with some of the most recognisable landmarks from across Yorkshire. 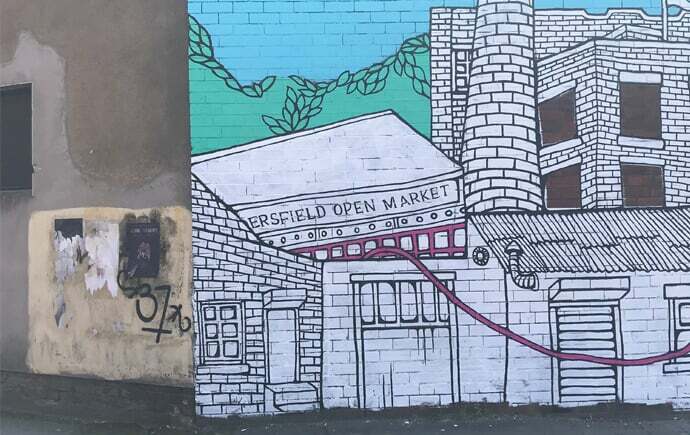 Tetley’s Brewery, Leeds Corn Exchange, Huddersfield Market and, of course, the Henderson’s Relish factory all feature in Jo’s mural. 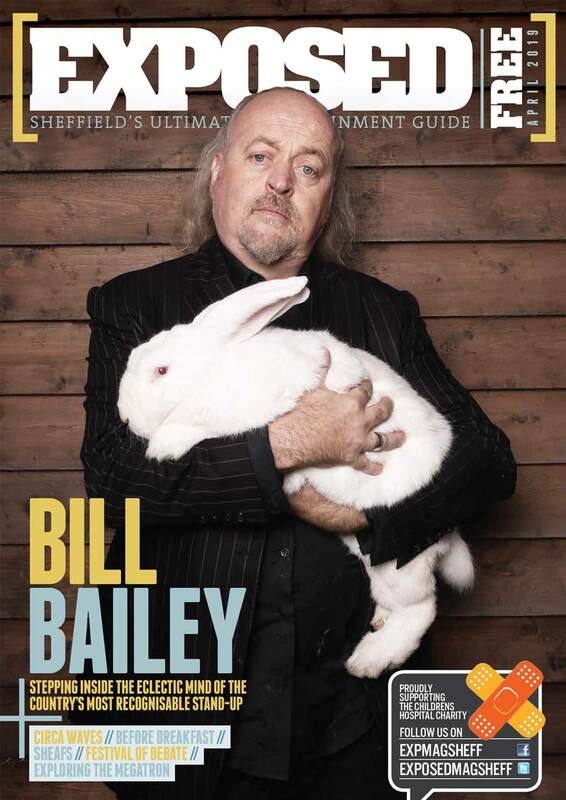 Jo said: “Yorkshire is the home of over five million proud people, and I wanted to encapsulate that pride by displaying the roots of the landscape, from the industrial heritage of its great cities to the incredible countryside that surrounds us all. 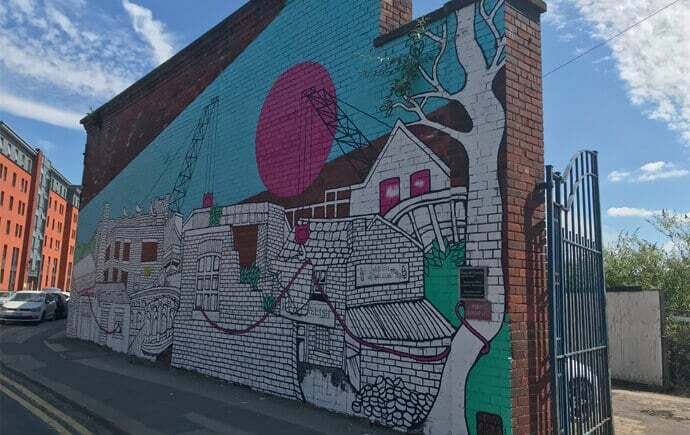 The mural, which took seven days to complete, can be found on Alma Street, Kelham Island, across the road from Craft and Dough. For more on Jo’ incredible work, head over to jopeel.com.